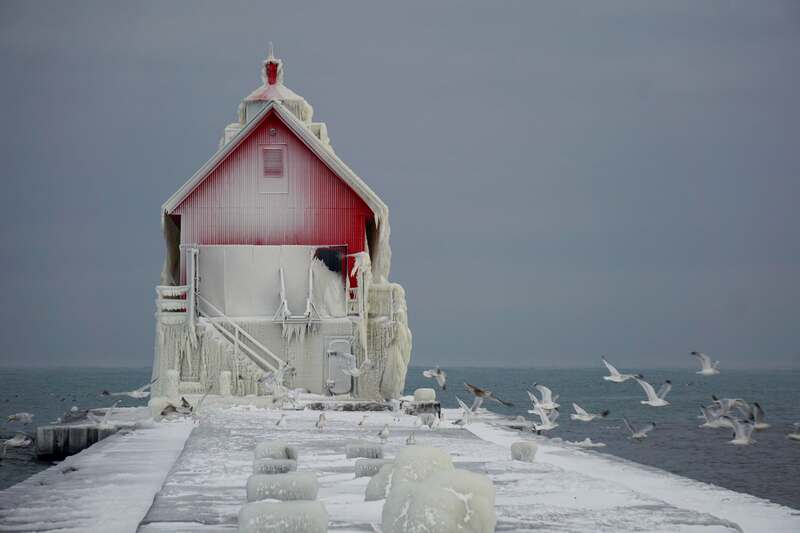 Grand Haven is a city located on the eastern shore of Lake Michigan at the mouth of the Grand River, for which it is named. 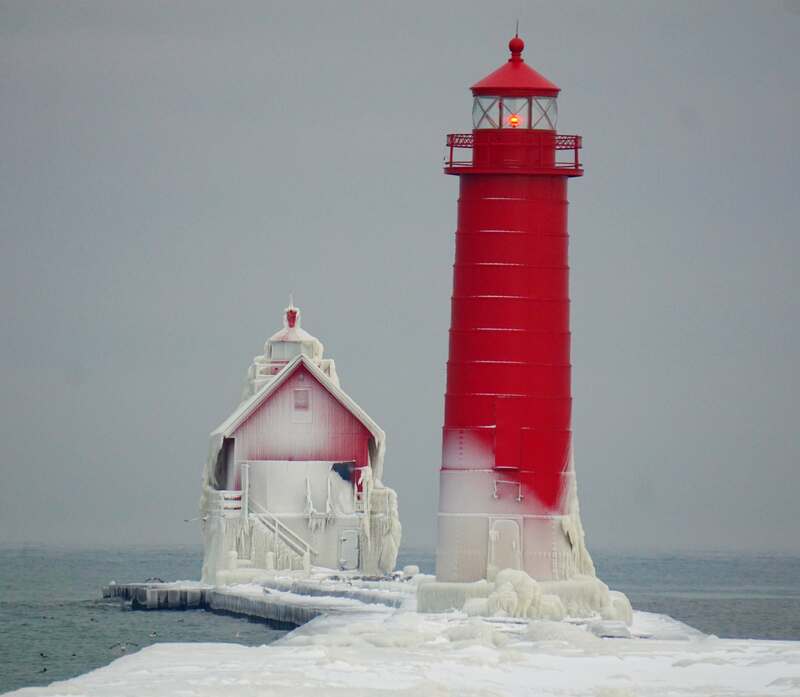 The Grand Haven Lighthouses were built in 1839 on the south pier, to mark the most navigable channel into the river. 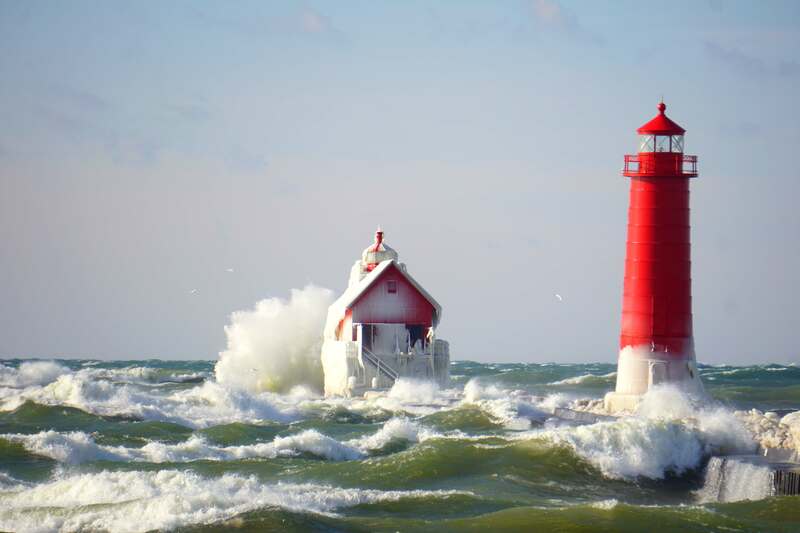 The current lighthouses, painted red, were built in 1875 and 1905. They are connected by a lighted catwalk, which runs along the pier to the shore. 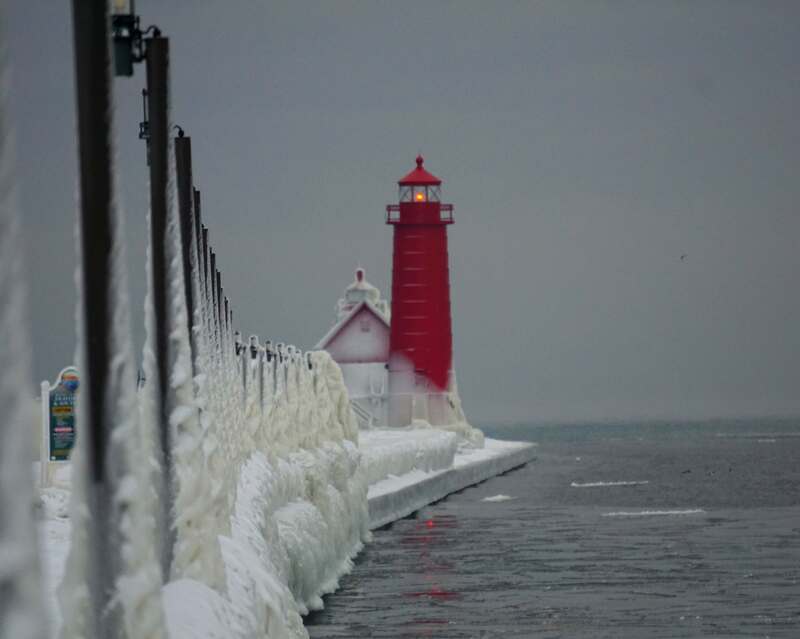 The Grand Haven pier is a popular spot for fishing and catching the sunset.